“I have my gun. 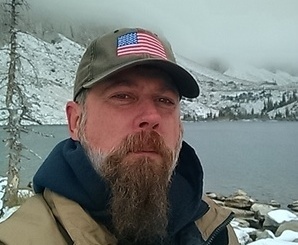 So I’m good.” That was the response one man gave in regards to the question about what kind of gear people with concealed carry permits, or an armed citizen, should carry. Yes, I was standing at the counter of a gun store as you might imagine. If you are going to be an armed citizen, there are certain considerations that you must first understand. The absolute first consideration is that owning a gun and being are armed citizen are not the same thing. Anyone with cash can own a gun. From a realistic point of view, tens of thousands of criminals own guns. Being an armed citizen means not only to actually keep and bear arms, but to be prepared to use said arms as responsible member of a community; a citizen. An armed citizen is distanced from the armed thug or criminal by their sense of purpose. 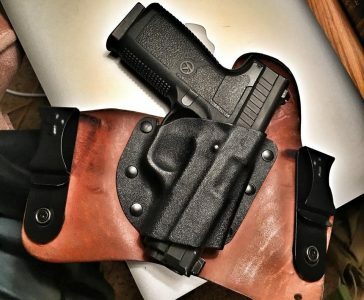 Mark Rippetoe, author of the book Starting Strength and renown strength trainer, has a saying that goes; “Strong people are harder to kill than weak people, and more useful in general.” If we are replace the words strong people with armed citizens, and weak for disarmed, we have a very appropriate way to look at the issue of what gear we should carry. If you look at the goal of the armed citizen as being harder to kill AND more useful in general, it is easy to see that we need to be more than just gun owners. When you consider what you, as a prospective armed citizen, should be carrying on your body, use that simple two step test: 1) Harder to kill 2) More useful in general. 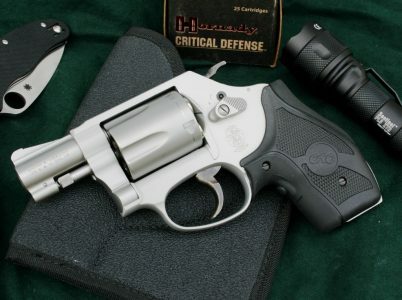 During the next few paragraphs, we are going to examine our list of 4 absolutes or must have categories of items that fit the bill for being an genuine armed citizen. Someone that is harder to kill and more useful to all of the other citizens in their community. Would you like to be part of our private community of like-minded individuals? I know that the squeamish and timid in the audience might be put off by the term “lethal”. Your timidity or desire to do no harm has absolutely zero bearing on the felonious monster that has decided to make you their prey. In order to stop the aforementioned monster from maiming or killing you there are three things that you can do. First, produce and display a lethal force instrument. Secondly, inflict physical damage, of any sort, to said monster, Three, inflict lethal damage to said monster. Which of those three things will cause the monster stop their deadly assault on you? The answer is that you have absolutely no way of knowing that until the monster decides to quit. Some felonious attackers will stop when you produce a gun. Others will stop when you hurt them, even though the wound is not life threatening. Still other monsters will keep on attacking you regardless of your having a gun or even if you use it. Only lethal damage will stop them. A lethal tool must be lethal; not beanbags, or tear gas, or noise-making blanks, not even rocksalt. For a lethal tool to be an effective life saving tool, it must actually be capable of lethality. Ergo, it will make you harder to kill. Since man roamed the wilderness clothed in animal skin, he has understood the need to carry sharp tools. We live in an era where folding and fixed blade knives of all shapes and sizes are so advanced that you have no excuse to be without one. Even while wearing a tailored business suit or a dress, there are lightweight, easy to carry knives that you could tote comfortably and discreetly at all time. There are so many utility and emergency chores for which a sharp tool is suited that I do not have time to list them here. Several years ago, I read a newspaper story about a small child whose loose jacket got caught in the machinery of an escalator. The jacket was choking the child to death. 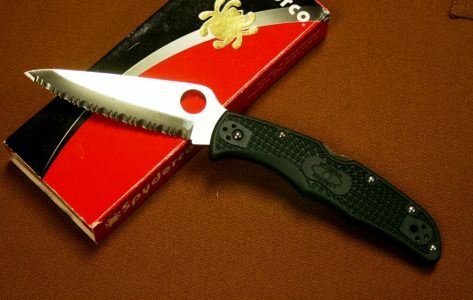 A bystander with a pocket knife cut away the material and saved the boy’s life. I guess our subject from the opening paragraph would have had no other choice but to shoot the escalator. Sharp tools fit the bill for harder to kill and more useful in general. To this day, British people still refer to a flashlight as a “torch”. This is a carry over from a time when people needed actual flaming sticks to light their way in the dark. Depending on the study you reference, human beings gather 85 to 90 percent of all sensory input from their eyes. Human eyes need visible light to function, period, end of story. When you turn out the lights, most humans devolve into helpless creatures groping around in search of light. Very few people are accustomed to finding their way in the dark. As with modern knives, the current incarnation of compact, portable flashlights are so advanced that there is. Again, no real reason not to have one on your person. No reason, that is, other than intellectual laziness or being cheap. For less than $50 you can purchase a good flashlight that is bright and lightweight. 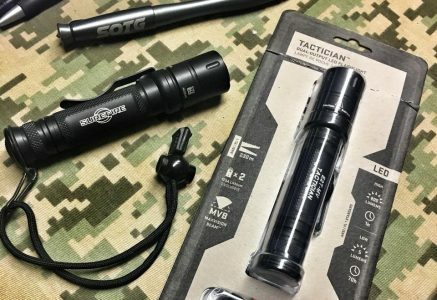 You can purchase an excellent flashlight that is rugged, super-bright, and still small enough to carry for a greater investment; $100 to $200 range. If you are carrying a gun, but no light, how do you expect to identify a threat in low or poor light? Is person in the shadows a real threat to you or is it an innocent person or a bum? A $100 flashlight might seem pricey until you compare it to the attorney fees you’ll be paying to try and stay out of jail after a negligent shooting. Once more, the flashlight falls into the category of helping us be harder to kill and more useful. “When all you have is a hammer, every problem looks like a nail.” I probably heard that bit of wisdom 30 plus years ago. People who get a CCW permit and start carrying often become fixated on problems that would need to be solved with a gun. Yes, lethal is on the list, but not every problem you encounter in life is going to be a lethal force threat from a person. You just need to look at the data on accidental deaths and injuries from the Center for Disease Control. You will see that you are between 500 and 1000 times more likely to be injured in an automobile crash than to face a lethal force attack. We carry lethal because that is the most effective tool to stop deadly monsters. What do you carry for that other 500 times likelihood that you or someone you care about will end up hurt and possibly dying from an injury? I have trained literally thousand of people in the use of lethal force, less than lethal force, and traumatic medicine. 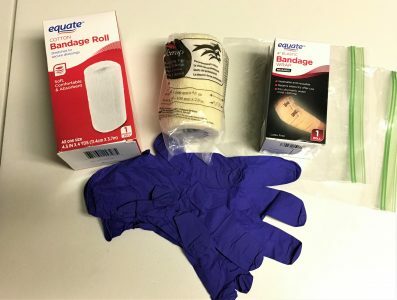 Feedback from the last several decades has been that my students used their medical training and gear more than anything else. Despite this fact, getting medical training and actually carrying life saving medical gear is the absolute last priority that armed citizens seem to have. I am not talking about shooting a monster and then saving their life. I am talking about saving the life of good people. Good guys can and do bleed to death, even those who carry guns can bleed to death. If your child has a partially amputated arm due to the negligence of someone who slammed your car into a ditch, do you plan to shoot the artery closed? An open artery will kill you before any ambulance has the time to arrive. Traumatic medical gear and training make you harder to kill and more useful in general. That’s it folks. The 4 categories of items that every armed citizen should carry, always, absolutely are: Lethal, Sharp, Bright, and Medical.